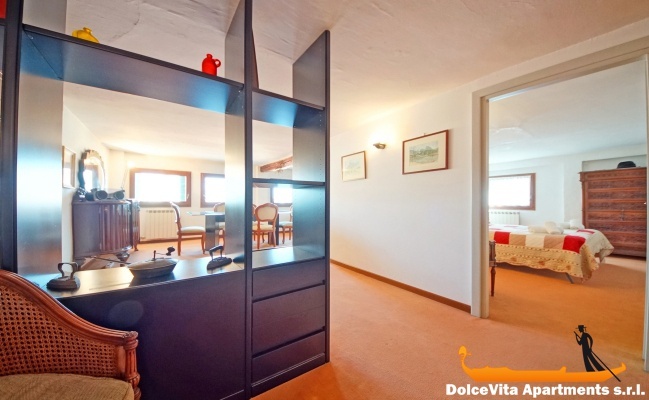 Apartment N. 306: It can accommodate up to 8 people, it is rented from 125 € per Night (not per person). 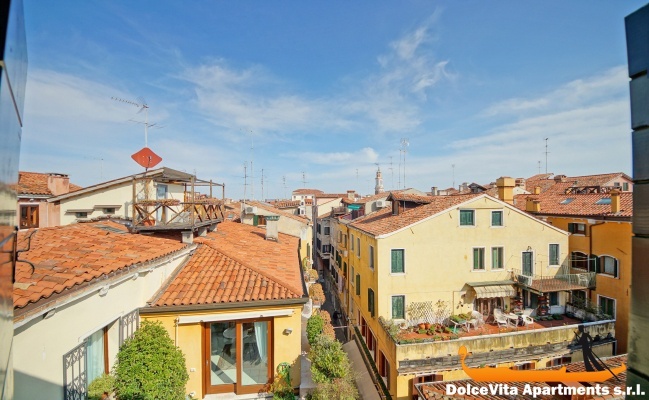 Venice Penthouse Rialto for 8 People: Cozy attic on the third floor in the historic center of Venice, in the San Polo district. 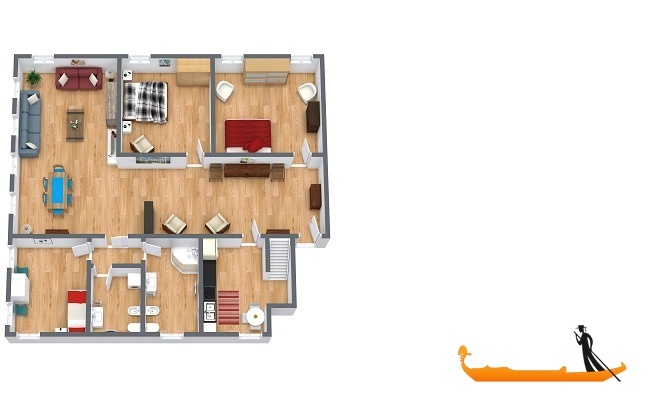 Furnished with care the apartment can accommodate up to 8 people and it has: 3 bedrooms, a large living room, a kitchen, a toilet and a bathroom with shower. 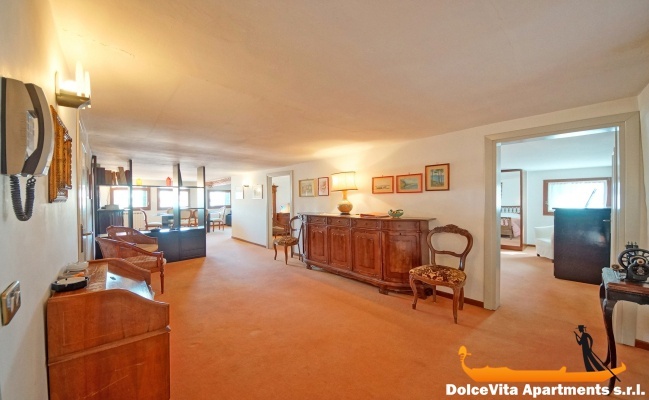 On the upper floor there is an attic used as a bedroom. 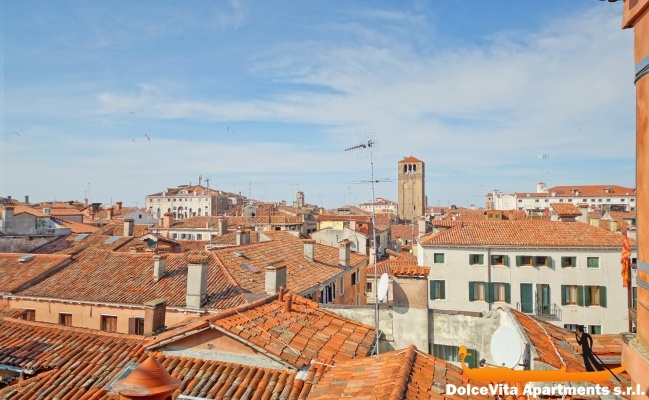 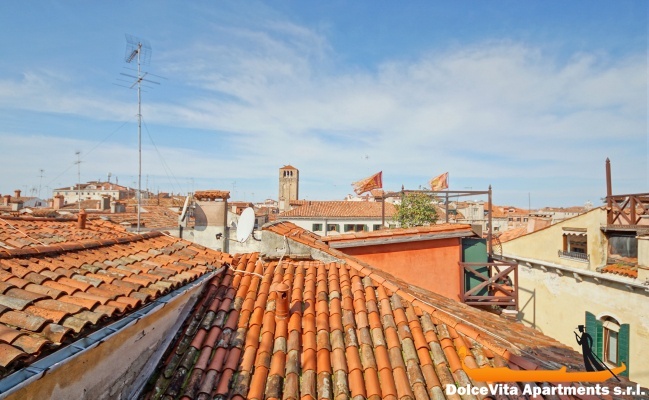 From the windows you can enjoy a beautiful view over the rooftops of Venice. 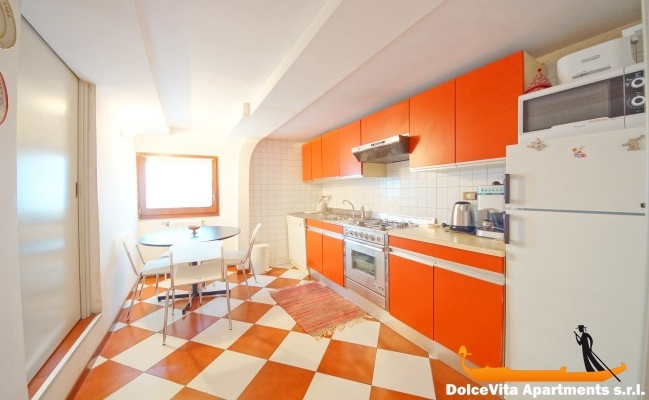 The kitchen is well equipped with: fridge, oven, microwave, freezer, espresso coffee machine, kettle and toaster. 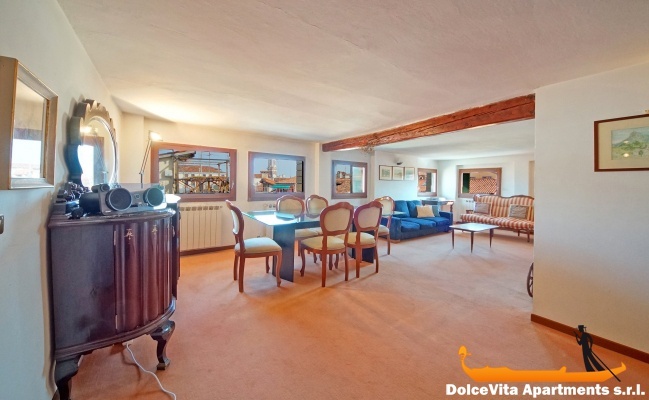 Among the many services there are heating, hairdryer and TV. 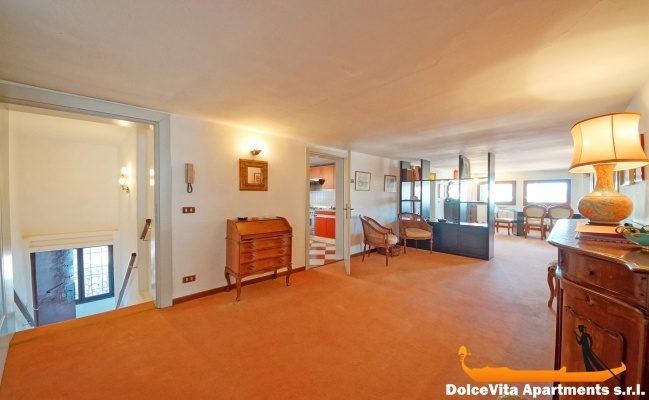 There are also iron and vacuum cleaner. 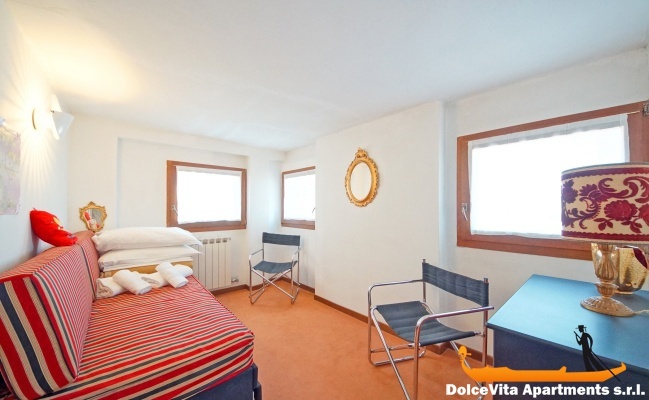 Upon arrival guests will find blankets, sheets and towels in the apartment. 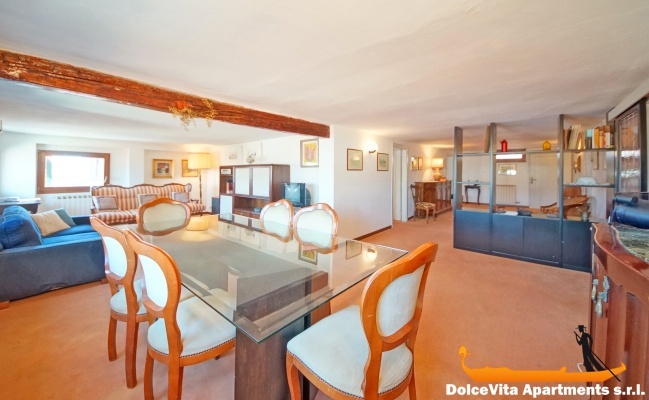 To move around, the apartment is in an absolutely central location. 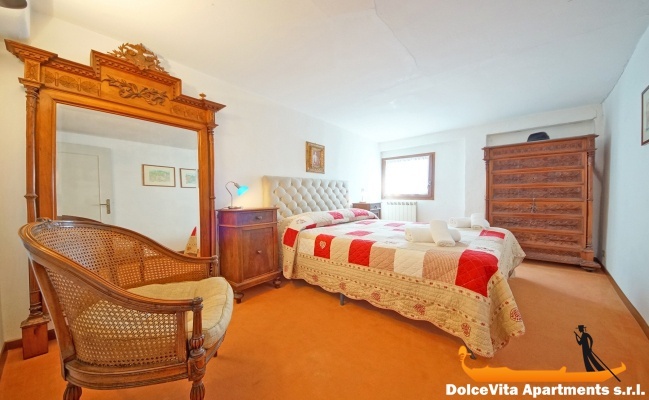 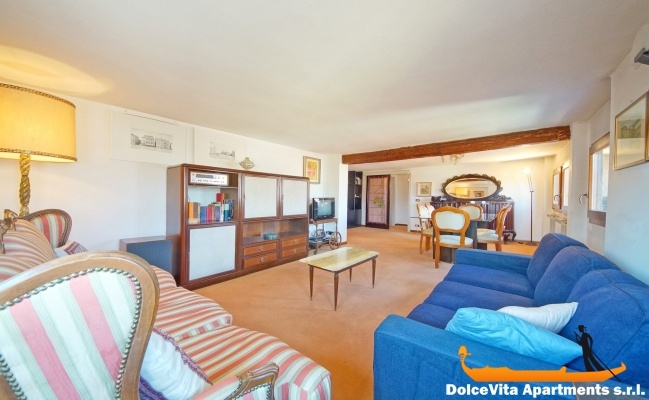 It is about 200 meters from the Rialto Bridge and 10 minutes’ walk from St. Mark's Square. 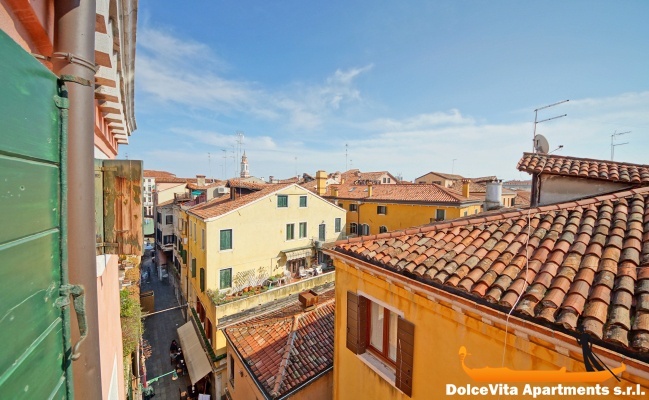 The nearest vaporetto stop is San Silvestro, just 350 meters away.